1. Newly installed toner cartridges sometimes require printing up to a certain number of pages in order to deliver consistent print quality. Newly installed cartridges sometimes need to be in use for a short period of time. That way the unit and the ink can settle then operate up to standards. Users can test and see if the print quality improves after printing up to 50 sheets of test pages. 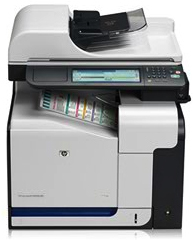 The printer will start printing out test pages and the suggested instructions should also be listed on the document. The troubleshooting function is user friendly and self-explanatory. 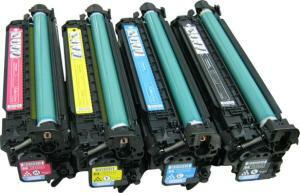 If the problem is with a particular toner cartridge, the diagnosed report will show as well. We understand that most users would like to save more printing expenses by using re-manufactured compatible cartridges, but sometimes are wary about quality issues. That’s why here at Toner Spot, all of our website orders come with 30 Day Money Back Satisfaction Guarantee and up to 1 year product warranty. In addition, our technicians and customer service support teams always respond quickly to customer. Lastly, all of our products are processed under ISO-9001 Standards and all batches are tested according to STMC testing guidelines for final printing results. That’s why many users tried our products and have become regular customers ever since! Save more with our current coupon code SAVE10 for 10% off entire purchase at www.toner-spot.com. Save even more with free shipping when the order exceeds $75 (contiguous U.S. states)! Direct price quote for bulk orders, school organizations, or non-profits organizations; please contact sales@toner-spot.com and one of our sales representatives will respond to you in a timely manner! Your one stop shop for affordable printing supplies.